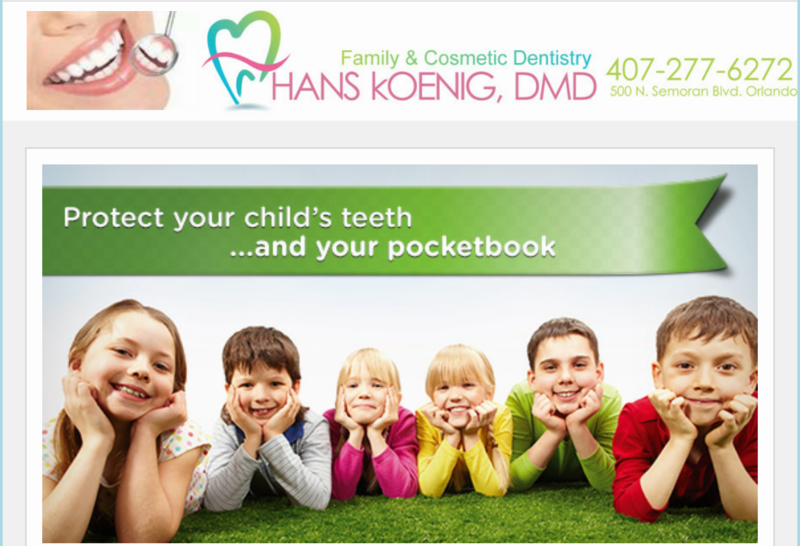 Hans R. Koenig DMD, PA | Healthy Teeth & Gums for Life! Welcome You and your family to our office in Orlando, FL. Our team is excited to meet you and help you achieve to maintain a vibrant, healthy smile. We know our patients value safe, efficient, and affordable care. Therefore we seek to offer our patients the best and latest technology and procedures available to the Dental Industry. Hans R. Koenig’s DMD, PA is here to help you and your family every step of the way, from providing you with facts of a great Oral Hygiene to walking you through treatment options as well. With proper dental care, we believe everyone can achieve a beautiful smile that will last a lifetime and will make you proud off. 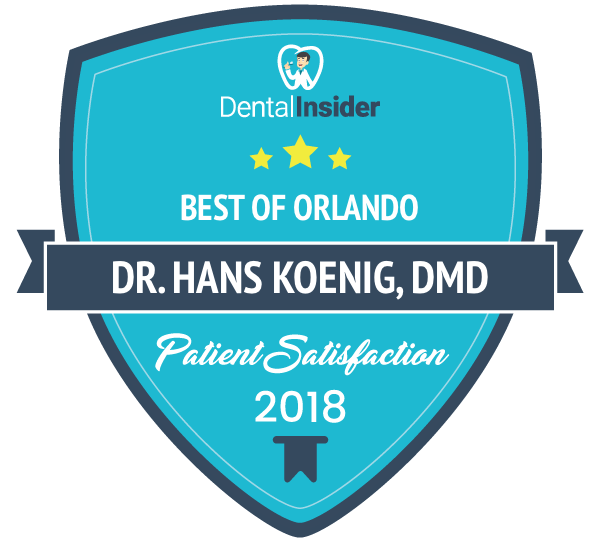 At Hans Koenig DMD PA we strive to provide high-quality dental treatment with genuine care for our patients in Orlando, Florida. Our goal is to create an environment in which patients feel comfortable and secure. Doctor Koenig and his staff believe that patient education is the keystone to modern dentistry. Our dedication to patient education is why we offer you this informative, convenient website, which you can browse 24 hours a day, and also why we take the time to thoroughly discuss all treatment options with our patients in our office We want to help you make informed decisions about your dental care. Our Office is experienced with every major aspect of dentistry, including general dental care, Cosmetic dental procedures like tooth-colored composite fillings, Crowns, Bridges, and dental implant restorations, as well as Implant dentures, removable partial dentures, extractions, implant crowns and root canal therapy. In addition, we use digital radiography, which is fast, convenient, and requires less radiation than traditional x-rays. Please allow our knowledgeable staff the opportunity to demonstrate to you how well we take care of our patients. Contact us for more information or schedule an appointment online.